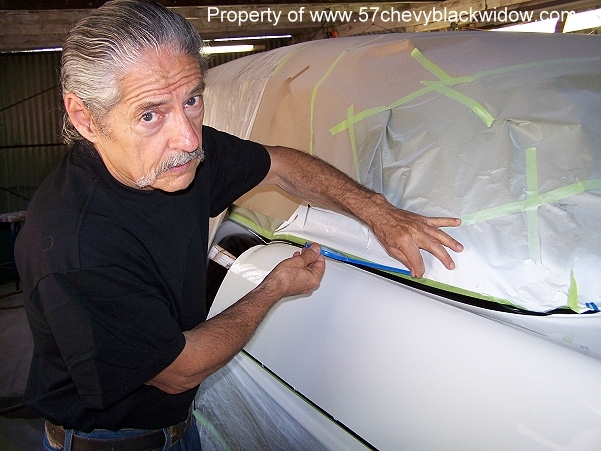 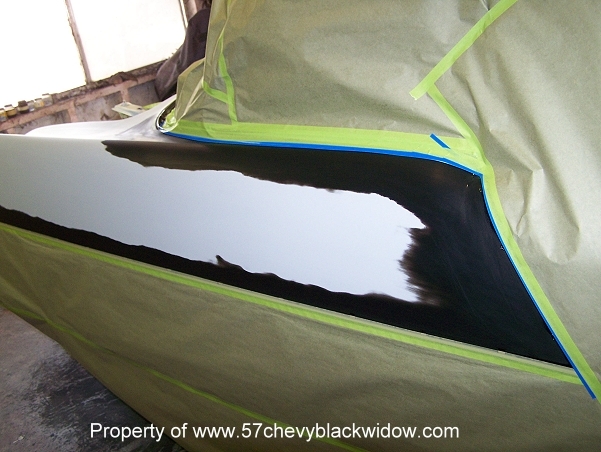 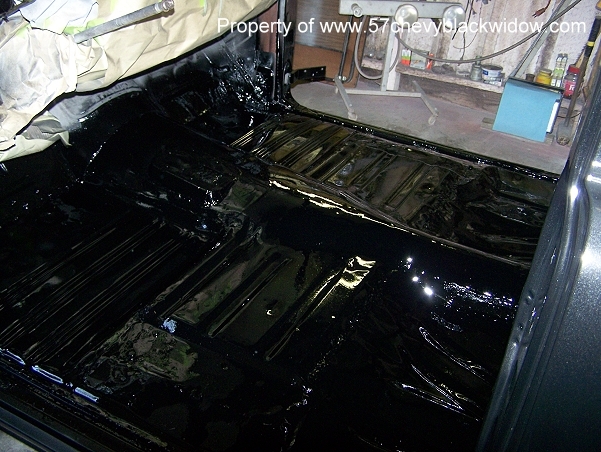 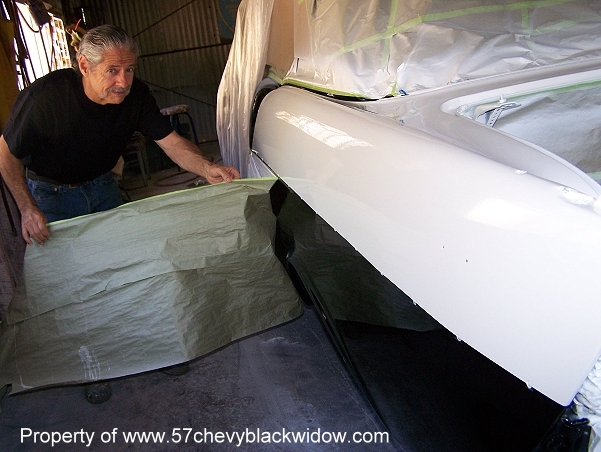 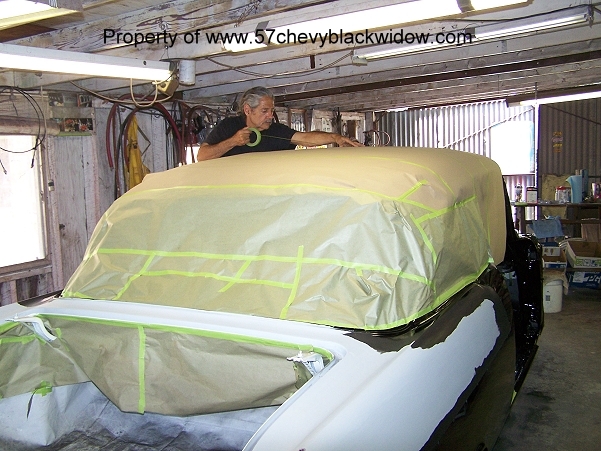 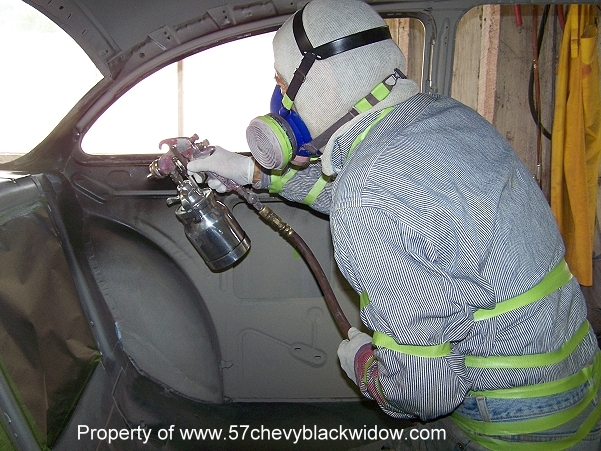 In these photos you will see "Old Guy Scott" painting the inside, then papering off the whole car in order to protect the black paint from the white. 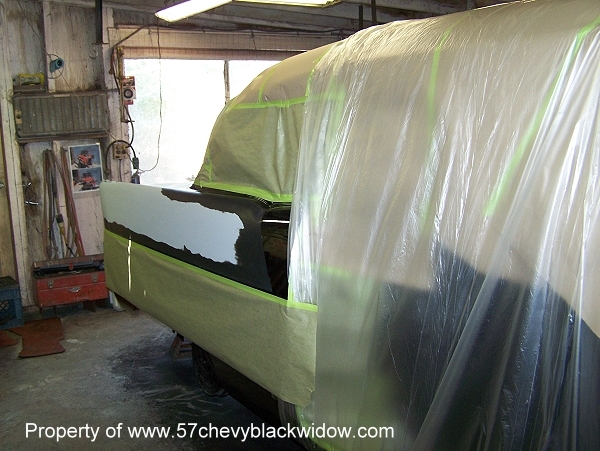 Photo #355 shows the blue fine line plastic tape used for the two curved areas. 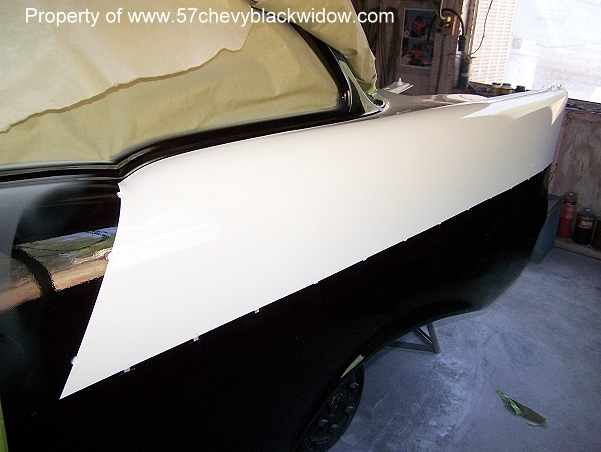 This blue 3m tape is the only kind to use if you need to make any kind of bend in your masking layout.